Today I found out that sitting too close to the TV will not damage your vision, contrary to popular belief. So why do parents the world over still say this to their kids? 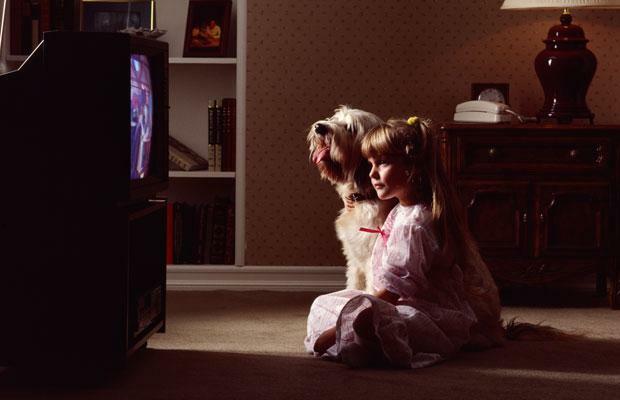 Surprisingly, there was actually a very brief period of time where sitting close to the TV could damage your eyes, assuming you owned a General Electric TV in the 1960s. Specifically, in 1967, General Electric informed the public that many of their color televisions were emitting excessive x-rays due to a “factory error”. GE fixed this problem by putting a leaded glass shield around the tubes. Health officials at the time estimated that the amount of radiation being given off by these defective TVs was about 10 to 100,000 times higher than the rate considered acceptable. They recommended, if you owned one of these TVs, not to sit too close. As long as you were a few feet away and didn’t watch TV for more than an hour at a time or so at this close range, you were problem fine. General Electric of course recalled all these TV’s and fixed the problem, so the issue went away. However, moms the world over have every since felt it was bad for their kids to sit too close to the TV, even though that is no longer the case at all. At worst sitting excessively close to the TV these days will just give you a headache and possible eyestrain, but for most people probably not even that, and even for those it does happen to, neither of those are in any way permanently damaging. Both more or less fix themselves shortly after you stop sitting so close to the TV. Looking up at the TV with your head tilted up, such as when kids lay on the floor watching TV, will cause more eyestrain than if you are looking straight on at the TV or it is below you so you are looking down at it. The same applies for computer monitors. Another cause of extra eyestrain is watching TV or looking at a computer screen where the light level of the screen is very different than the light level of the surrounding environment. Eyestrain is not a serious problem. The “cure” is simply to give your eyes a break from focusing on a specific thing for extended periods and it will more or less go away. Will sitting too close to the TV hurt my eyes? Is too much TV bad for your eyes? Actually, new studies are finding that prolonged “up-close” perception destroys the ability for the eye to improve depth perception, causing a cascading number of near-sighted people every year. i must confess that I did all the bad habits ie:sitting way to close to the tv, reading in the dark and worst of all,staring at the sun. dispite all of this, i have 20/8 vision in both eyes – tested as a child. I am 31 years old now and my eyesight is as good as it has always been. obviously this is in my genes however I distinctly remember stareing into the horizon whenever I could. I think this played a part in the development of my eyes at an early age. My genes coded for flawless optics and densly packed cones in my fovea however I believe without excersizing my distance vision, it would have gone to waste and at best i’d be 20/20. Typo: In the “you might also enjoy” link section, the title about Caffeine is mistyped: Should be “Stunt” instead of “Stung”.